18 karat Ultra White gold wedding set. Eight sperate prongs were carved to create a double four prong setting holding a 7mm eight side Octillion Diamond. 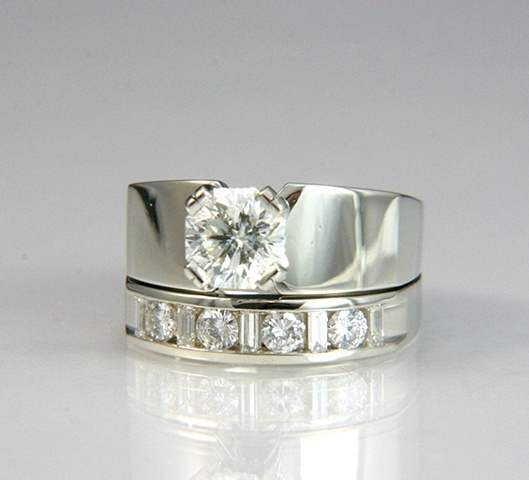 The band has round and emerald cut Diamonds set in a channel.